Road Queen USA is hosting a four-day event celebrating female motorcyclists through rides, parties, and sisterhood in a charitable run for America's needy. 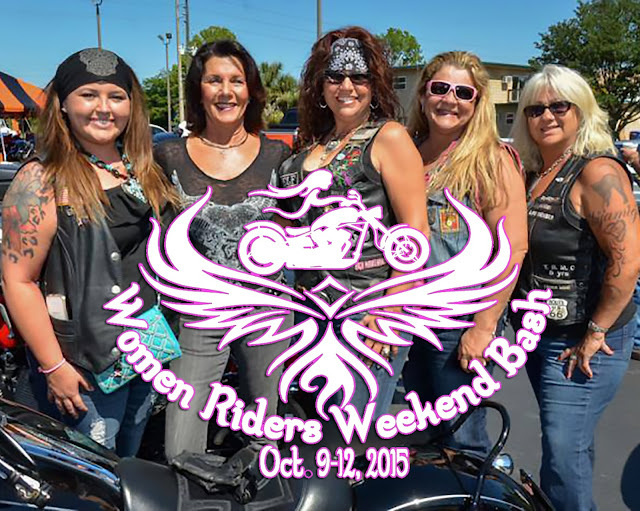 Road Queen USA is an event designed to bring women motorcycle riders together for fun and friendships. Taking place October 9-12 in Crystal River, Florida, the event will feature garage parties, meet-n- greets, presentations, live bands, dancing, and group rides along Florida's Gulf Coast. Brittany Morrow, Brand Specialist at Icon Motorsports shows off the latest in women's motorcycle gear. Saturday morning ride to Ocala for Ladies Garage Party, riding demonstration, how to pick up a downed motorcycle, with brunch included. Sunday afternoon girls ride to Crystal Harley-Davidson for a special surprise. "It's not easy for women motorcycle riders to find like-minded gals to connect with," says Linda Dalton, Road Queen USA's organizer. "That’s why we're making this event all about girls, motorcycles, and the spirit of sisterhood. It's not about celebrating any one woman, but celebrating the entire community of women riders. It's not about one woman putting on an event, but a community of women coming together to celebrate sisterhood, no matter what bike you ride, who you are, or where you're from." Road Queen USA, Inc. is a registered public charity that donates its proceeds back to Americans -- helping veterans, children, and communities. In 2011 it gathered supplies and funds to relieve towns devastated in the April 2011 tornadoes that hit Alabama. In 2014, it raised more than $12,000 to purchase an all-terrain wheelchair for a severely injured veteran. "This is a chance for women riders to help us help the communities they live in, " Dalton said. "Road Queen USA was designed specifically to harness the power of women to aid our country's sons and daughters." Tickets for Road Queen USA are already on sale. For more information visit www.roadqueenusa.org.